Who wouldn’t know this beverage brand. Most people may have tasted Fanta at least once in their life time. However, behind the success, Fanta also experienced horrible moment in its way to being famous. 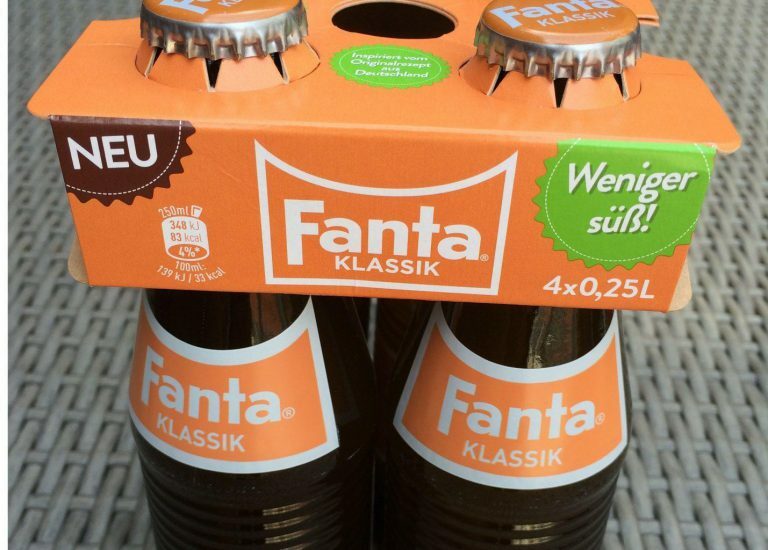 To figure that out, we should look back to the past of Fanta. Fanta product was first made during the World War Two in Germany’s Coca-Cola Company. The brand was born since the Coca-Cola Headquarter in America decided to ban its company in Germany after the Pearl Harbor bombing. This decision has forced the Germany’s Coca-Cola Company to come up with new product to fulfil the local market demand. Due to its success, after the world war ends, Fanta was relaunced in Naples, Italy. Afterward, Fanta created more products and gain more fame. However, the road to victory always has its own obstacles and this setback happened to this beverage brand in its 75th anniversary. As a part of its celebration, Fanta released a video with a Good Old Times theme. Fanta was meant to take its fans to remember the fun in their childhood. However, the public had different point of view to the campaign. Instead of bringing back the lovely memories, the advertisement reminded them about the nightmare of holocaust during the Nazi era. The solution of this problem was obvious. Fanta stopped the advertisement after getting a huge amount of negative review about it. Though it was a dark moment of a great brand, we can draw one good lesson from it. We must consider the effect of any business promotional campaign to the public. The easy way to attract the public attention is to provide something that goes with the trends. It wo n’t matter if you use available ideas in the market as your inspiration. But keep in mind that you should put your own idea to create a more personal campaign. Internet is the best tool to build a successful campaign. Moreover, you will have the freedom to target your market effectively. If you haven’t figure out how to use the internet for your needs, then you should start to educate yourself about it. Rather than spamming your brand to every person, you might want to give something useful to the community. For example, if your business is in health industry, you can share various health information and tips. When the public decided that your campaign is trustworthy, people will acknowledge your business. Those are 3 simple tips to build a successful campaign for your business. If you don’t have a clue on where to start, you can always request for professional help. So, if you want to hold any kind of event, as a part to promote your business, always remember that Satu Matahari can help you to plan, promote, and execute your event campaign efficiently.